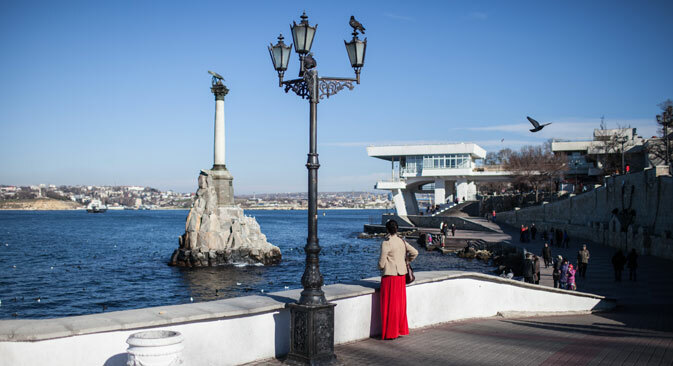 Crimea is asking the Russian Foreign Ministry to assist with the issue of handing over to the peninsula the monuments of Soviet troops, that are set to be demolished in Poland, Sergei Aksyonov, the head of the republic, said. "We are ready to take and install on the territory of the peninsula, monuments of Soviet soldiers, liberators of Poland, for which there is no room in the land that they liberated. We are asking the Russian Foreign Ministry to assist with resolving this issue," Aksyonov was quoted as saying by his press service. The Polish authorities have decided to dismantle over 500 small architectural forms, erected in public places "as a sign of gratitude to the USSR." The monuments are expected to go to museums after being dismantled. Aksyonov says residents of Crimea are outraged by the Polish campaign to remove monuments to Soviet troops who liberated this country from fascism. "Essentially, it's a fight against history, not against Communism and the Soviet past. Including against Polish history," Aksyonov said.